AOL today celebrates its 25th anniversary, and the thought of it leaves me a little nostalgic, but also really proud of the great role it has played in the development of interactive — and local — media and services. AOL’s support for local, of course, has ebbed and flowed based on budgets and leadership vision. But there has always been a local component at AOL, whether via its development of Digital City; AOL Yellow Pages; MovieFone; MapQuest; Family Education Network; various AOL vertical categories; partnerships with numerous newspapers; AOL International; or even the heavy promotion that local services got during the push for “AOL 7.0” (nothing else was new that year). 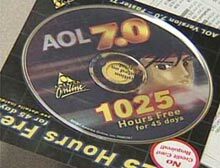 AOL has loomed especially large for those of us from that era of development. Like many others, we met Steve Case shortly after the name change from Quantum Corp., to America Online when we were all part of the Videotex Industry Association. For many years thereafter, AOL was a big part of practically everything we did — even more so for me personally, since I was a part of a Virginia/D.C. tech community largely incubated by AOL’s success. These days, old and new are frequently colliding at AOL. AOL vets like Examiner.com CEO Rick Blair have taken new roles in the industry, as new Armstrong-era execs like Jon Brod have pushed AOL onto new paths with major investments in local properties such as Patch.com. Like a baseball team loaded up with the latest bats and arms, you could argue there hasn’t really been “true” continuity between Steve Case’s original AOL, which relied on teachers as a major driver; Bob Pittman’s AOL, which landed huge advertising contracts and began the cross media era with the Tom Hanks flick, “You’ve Got Mail”; or Tim Armstrong’s AOL, which seeks to bring it all together again in ways that make sense for 2010. But then again, there is a certain tradition that keeps us proud. Maybe it is all locked into Steve Case’s original “3 Cs”: Content, Community and Clarity.